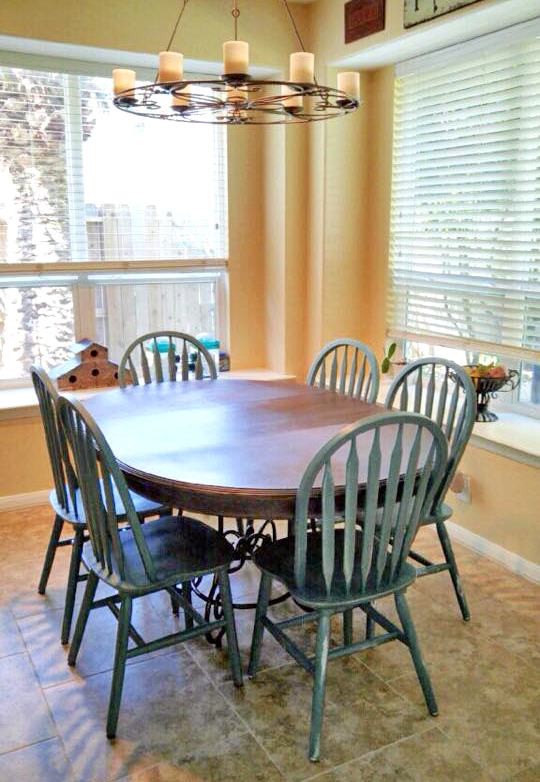 Darling dining set makeover by Verdigris Sky_ using our gorgeous Brown Mahogany Gel Stain! "Beautiful dining set we recently finished for a wonderful repeat customer.. I love how it looks in her kitchen under that great chandelier." We agree!